The St. Francis, Shangri-La Place is another quality residential development of Shang Properties Realty Corporation (formerly The Shang Grand Tower Corporation), the real estate development arm of the Kuok Group in the Philippines. 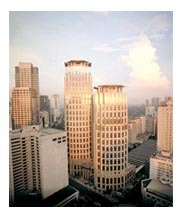 Shang Properties Realty Corp. has a balanced portfolio of businesses. A steady stream of cash flow is generated by investments in the leasing business. The Company has 78.7% of the Shangri-La Plaza Corporation, which owns and operates the Shangri-La Plaza mall in the Ortigas Center. It also owns 52.9% of KSA Realty Corporation, which in turn, owns The Enterprise Center, one of the most prestigious business addresses in the country. Together, these two organizations generate over Php1.5 billion in lease income annually. In 2002, the company expanded its business portfolio by entering into the residential condominium market with its first project, the 46-storey Shang Grand Tower. The project was well received by the market and was completely sold out. 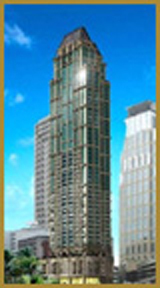 The Shang Grand Tower was completed in record time and was turned over to its buyers starting the end of 2005. 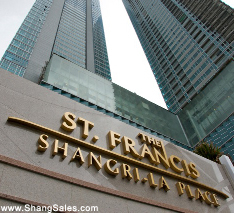 Following the success of the Shang Grand Tower, the Company proceeded to its second residential project, The St. Francis, Shangri-La Place, located within its 8.6 hectare property in Ortigas Center. Within the property, the 5-star Edsa Shangri-La hotel and the Shangri-La Plaza mall are located and are both linked to the St. Francis. The project is slated for completion n 2009. To support its business operations, Shang Properties established the Edsa Parking Services, Inc. which manages the parking operations in the Shangri-La Place complex. Also, the Edsa Properties Management Services Inc. was created to provide professional property management for its various installations. As a result of the merger with Kuok Philippine Properties, Inc., Shang Properties now has a landbank of over 500 hecatres located in Batangas, Tagaytay, Cavite, Mactan and the Fort Bonifacio Global City, earmarked for future development. With a synergy of strength, innovation, foresight and performance, Shang Properties is poised to set the pace for premium real estate projects in the Philippines. 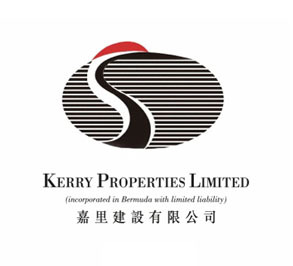 Backed by the added value and advantages provided by its affiliates worldwide– Kerry Properties, the Kuok Group, and Shangri-La International Hotels and Resorts, and their ever-growing network of property, logistics and infrastructure assets, the Company is equipped to leave an indelible mark on the Philippine landscape. Wong Tung & Partners was established in Hong Kong in 1963 and have been practicing under the name of Wong Tung & Partners Ltd. since 1984. An international extension of the firm, Wong & Tung International Ltd. was formed in 1975, and is represented through Affiliated Practices in the United States, Canada, Philippines, Singapore, Australia, Thailand and Mainland China. The Firm has now a total strength of over 250 architectural professionals and supporting personnel in Hong Kong and over 150 staff in Mainland China. The Firm has established strong specialities in the following fields: Urban Design and Planning; Large Scale Residential Communities; Mixed Use Commercial Complexes; Healthcare; Retail Centres; Hotels; Hi-Tech Industrial Estates. The group's multi-disciplined and specialist personnel can develop and produce solution for virtually any type of development requested by the client. The Projects that Recio + Casas Architects undertake demand a high and concentrated level of attention, whether for a single dwelling house or the more complex intricacies of a mixed-use high rise development. The firm continues to find new ways of expanding the circle of collaboration and looks forward to its continuing evolution in the pursuit of architectural excellence. In 1999, the Philippine Institute of Architects bestowed upon Recio + Casas, the Firm of the Year award, the first ever given by the Institute in its 66-year history. Private Company, Headquarters Location 515 Madison Ave., 4th Fl., New York NY 10022-5403, United States Primary SIC: Architectural Services, Primary NAICS: Architectural Services Description: Services: Architectural firm specializing in hotels, commercial office buildings, corporate interiors, retail, entertainment, casinos and conference centers. Arup Hong Kong is a branch office of the Arup Group, a global firm of consulting engineers, planners and project managers. Over a period of 25 years, Arup Hong Kong have established a reputation for being one of the best in the field; working with private investors, national governments, the United Nations and the World Bank to help create a better world in many Asian nations. Davis Langdon & Seah Philippines. Inc. is a global business, committed to providing a bespoke range of management and consulting services, which reduce the risk and increases value for clients investing in infrastructure, construction and property. Jose Aliling & Associates is a business organization involved in Construction Management Services. Among its notable projects are Citibank Tower, Urbanbank Plaza, Ayala 6811 Project, Discovery Centre, Citibank GCB Center, and BCDA Housing & Relocation Project, J.G. Summit Center, Galleria Hotel and Condominium, World Finance Tower. It is an ISO Certified Construction Management Company, providing construction management, quality control, and quantity surveying services. Magnusson Klemencic Associates provides structural and civil consulting engineering services around the world. Production is centered in Seattle, Washington, which allows them to maximize their knowledge and resources and provide each of their clients with the full benefit of their expertise. Their location in Chicago enhances their reach and expands their client service capabilities. Magnusson Klemencic Associates engineers are organized into 15 teams of market-based specialists, who actively track the trends and technologies specifically affecting their clients. As specialists, they go beyond the nuts and bolts of engineering to produce innovative, value-added, "total project" solutions. Magnuson Klemencis Associates is recipient of the American Consulting Engineers Council’s national award 14 of the last 19 years (more than any other firm in the US). And also a recipient of 259 awards for engineering excellence. Magnuson Klemencis Associates is credited with 35 “world’s first” in design. Some text and photos were taken from the website of The Enterprise Center, Kerry Properties Limited, Shangri-La Hotels and Shangri-La Plaza Mall.